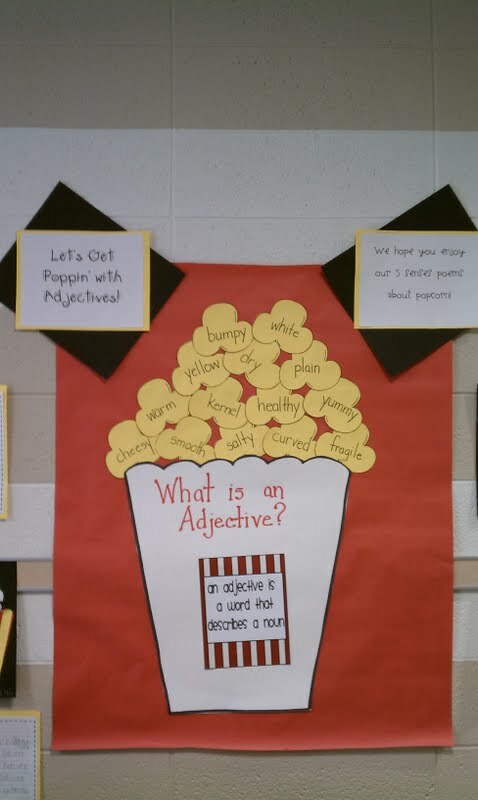 I've been having so much fun teaching about adjectives (and poetry) in the past 2 weeks! 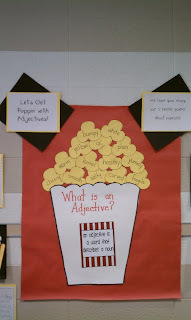 I purchased the Let's Get Poppin' with Adjectives from Abby. I highly recommend it! 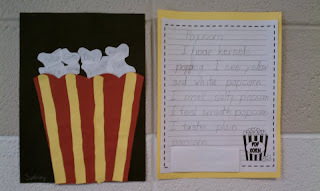 You can check it out here - The Inspired Apple and purchase the unit it on TpT. 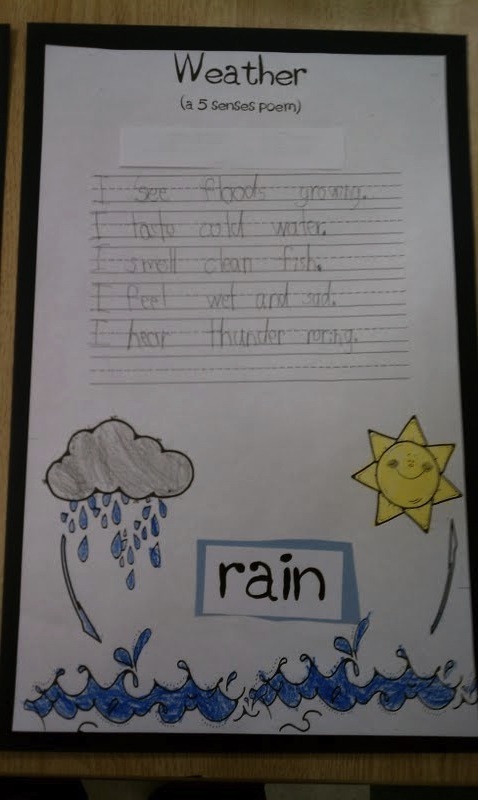 We wrote 5 senses poems after doing some cooperative group work to come up with adjectives for each of the 5 senses. 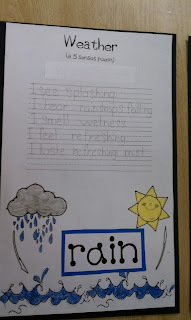 After havin' a little fun with popcorn, we made another 5 senses anchor chart about rain. 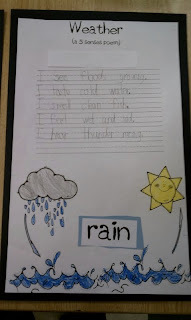 We are working on a weather unit in science, so the students used a graphic organizer and wrote another 5 sense poem about weather. Here are some pictures. 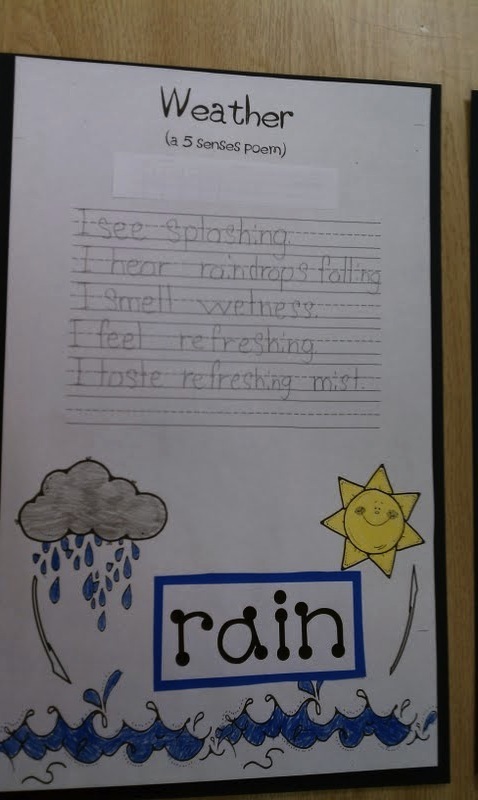 I am so proud of their work!